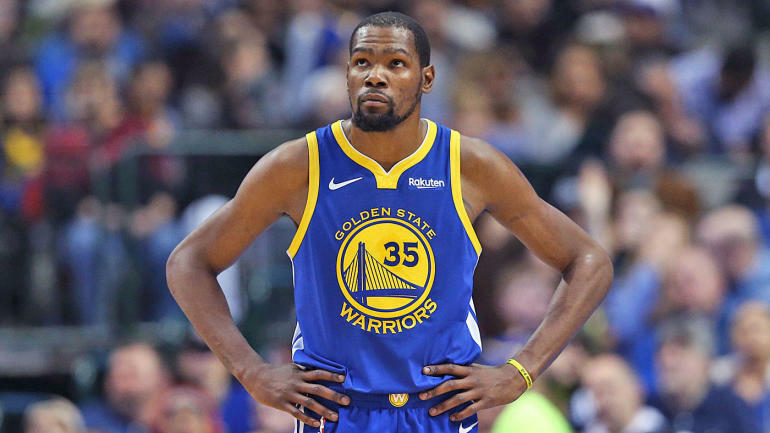 Golden State Warriors forward Kevin Durant feels a bit remorseful after being tossed during the fourth quarter of their Game 1 match-up against the Los Angeles Clippers on Saturday night for jawing with Clippers guard Patrick Beverley. “In the moment it was cool,” Durant said of the ejection, via ESPN. “But just the reaction after the game, I don’t want coach or my teammates or the organization to be upset with me because of some s**t that I did. I don’t want to get in the way of what’s going out on the floor. I think that was a huge distraction and I don’t want that to be a part of this series. I just want to play. It looks like it’s a huge distraction. For what it’s worth, Durant didn’t think that his back-and-forth with Beverley was worthy of an ejection. “The previous play, I got fouled on the layup and Pat came out of nowhere and blocked it,” Durant said after the game, via Yahoo Sports. “It was just — not friendly, but just trash talk, you know, and it’s an emotional play for him, so he’s going to show his intensity after that play, and I respected it, and I’m sure everybody on the court did. But it was the same play for me coming back on the other end, where I had an opportunity to kind of bring some intensity to the arena, to the game, to my team, and I thought that was a perfect time for me to do so, without resulting in a technical foul. Moving forward Durant has a simple solution to avoid further issues with Beverley in the best-of-seven series. Game 2 between the Warriors and Clippers is set for Monday night, (10:30 p.m. ET — Watch on FuboTV), as the Clippers will look to avoid falling down 0-2 against the defending champions.